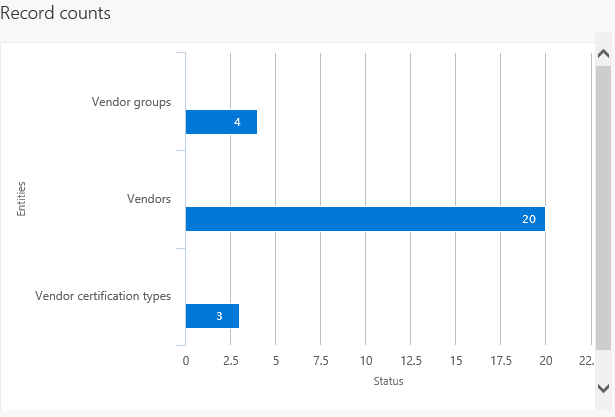 This topic describes how you can use the data management framework to manage data entities and data entity packages in Microsoft Dynamics 365 for Finance and Operations. Data entities: A data entity is a conceptual abstraction and encapsulation of one of more underlying tables. A data entity represents a common data concept or functionality, for example, Customers or Vendors. Data entities are intended to be easily understood by users familiar with business concepts. 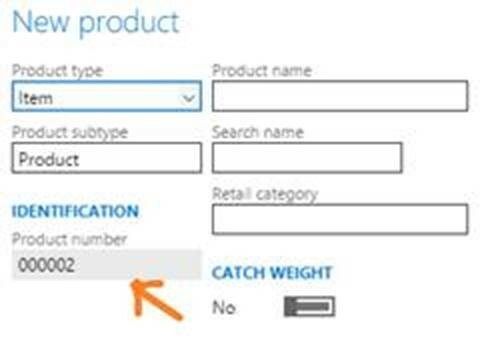 After data entities are created, you can reuse them through the Excel Add-in, use them to define import/export packages, or use them for integrations. Data project: A project that contains configured data entities, which include mapping and default processing options. Data job: A job that contains an execution instance of the data project, uploaded files, schedule (recurrence), and processing options. Job history: Histories of source to staging and staging to target jobs. Data package: A single compressed file that contains a data project manifest and data files. This is generated from a data job and used for import or export of multiple files with the manifest. Data entities provide conceptual abstraction and encapsulation of underlying table schema that represent data concepts and functionalities. In Microsoft Dynamics AX 2012, most tables, like the Customer and Vendor tables, were de-normalized and split into multiple tables. This was beneficial from a database design point of view, but made it difficult for implementers and ISV's to use without a thorough understanding of the physical schema. Data entities were introduced as part of data management to be used as a layer of abstraction to easily understand by using business concepts. 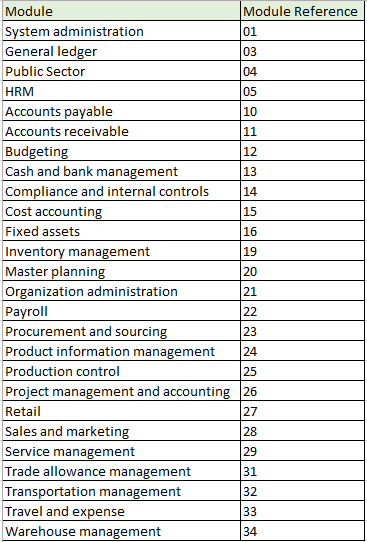 In previous versions of Microsoft Dynamics 365 for Finance and Operations, there were multiple ways to manage data, such as Microsoft Excel Add-ins, AIF, and DIXF. The concept of data entities combines those different concepts into one. After data entities are created, you should be able to reuse them for an Excel Add-ins, import/export, or integration. The following table shows core data management scenarios. Migrate reference, master, and document data from legacy or external systems. Configure processes or modules using the Lifecycle Services (LCS) environment. You can select only the entities you need to migrate. If an import error occurs, you can skip selected records and choose to proceed with the import using only the good data, opting to then fix and import the bad data later. You will be able to partially continue and use errors to quickly find bad data. You can move data entities straight from one Finance and Operations system to another, without having to go through Excel, or XML. Data imports can be easily scheduled using a batch, which offers flexibility when it is required to run. For example, you can migrate customer groups, customers, vendors, and other data entities in the system at any time. You can use the data management framework to copy configurations between companies or environments, and configure processes or modules using Microsoft Dynamics Lifecycle Services (LCS). Copying configurations is intended to make it easier to start a new implementation, even if your team doesn't deeply understand the structure of data that needs to be entered, or data dependencies, or which sequence to add data to an implementation. 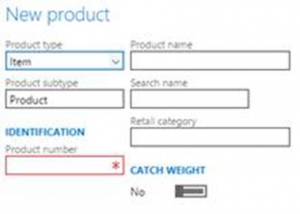 Use data packages to create incremental data entities. Data entities can be sequenced inside the packages. You can name data packages, which can be easily identifiable during import or export. 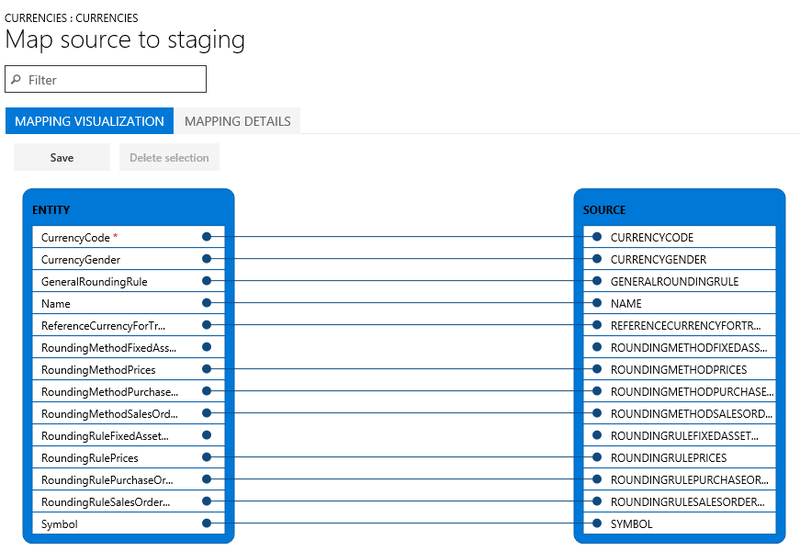 When building data packages, data entities can be mapped to staging tables in grids or by using a visual mapping tool. You can also drag-and-drop columns manually. View data during imports, so you can compare data, and ensure that it is valid. The following sections provide quick snapshots of the different functionalities of data management using data entities. The goal is to help to you strategize and make effective decisions on how to best utilize the available tools during data migration. You will also find tips and tricks on how to effectively use each area during data migration. A list of available data entities for each area can also be found with the suggested data sequences, showing data dependencies. Microsoft provides data packages that can be found on Lifecycle Services (LCS) as an initial guide. The information in this document can be used as a guide for creating your own packages. The description of each data entity shows what the object contains and if it is needed during data migration. There are two types of sequencing that should be considered when working with data entities. When a user adds data entities to a data project, by default, a sequence is set for the order in which the entities will load. The first entity added to the project will be set as the first entity to load, the next entity added will be second, the next entity will be third, and so on. For example, if a user added two entities in this order, Sales tax codes and Sales Tax groups, then Sales tax codes is assigned an entity sequence of 1.1.1, and Sales tax groups is assigned an entity sequence of 1.1.2. The sequence level indicates that the second entity will not start the import process until the first level is finished. To view or edit a sequence, click the Entity sequence button on the Action Pane of the data project. In the Definition group entity sequence, you can see the execution units and the sequence. You can change sequence by selecting the data entity in the list, setting a different Execution unit or Sequence in level, and then clicking Update selected. After clicking Update selected, the entity will move up or down in the entity list. The following screenshot shows the entity sequence that is set for the Sales Tax CodeGroups data package. In order to successfully import sales tax codes and groups, the sales tax codes and details have to be loaded first, before sales tax groups can be imported. Sales tax codes and groups are all in Execution unit = 1, but the sequences are in the order that they will be imported. Other related sales tax entities that are not dependent upon other data entities being loaded are included in the package. For example, sales tax exempt numbers is set in its own Execution unit = 2. This data entity will start loading immediately because there are no dependencies on other entities loading before it. The following tables provide more information about the default numbering format. Data packages follow the sequence number, followed by the module abbreviation, and then a description. The following example shows General ledger data packages. When working with data entities, mapping an entity to a source is automatic. The automatic mapping of fields can be overridden if needed. To view how an entity is mapped, locate the tile for the entity in the project, and then click View map. We provide mapping visualization view (default) and mapping details view. A red asterisk (*) identifies any required fields in an entity. These fields must be mapped in order to work with the entity. Other fields can be unmapped as required when working with the entity. To unmap a field, highlight the field in either column (Entity or Source), click Delete selection, and then click Save. After saving, close the form to return to the project. The field mapping from source to staging can also be edited after import using the same process. If you have extended an entity (added fields) or if the automatic mapping appears to be incorrect, the mapping of the entity can be regenerated in the Mapping form. To do this, click Generate source mapping. A message will display asking, "Do you want to generate the mapping from scratch ?" Click Yes to regenerate the mapping. If you have fields in entities that you want the system to generate data for on import, instead of providing the data in the source file, you can use the auto-generated functionality in the mapping details for the entity. For example, if you want to import customers and customer address information, but the address information was not previously imported with the Global Address Book entities, you can have the entity auto-generate the party number upon import and the GAB information will be created. To access this functionality, view the map of the entity and click the Mapping details tab. Select the fields that you want to auto-generate. This will change the source field to Auto. Many entities support automatic generation of identifiers based on number sequence setup. For example, when creating a product, the product number is automatically generated and the form does not allow you to edit values manually. It is possible to enable manual assignment of number sequences for a specific entity. After you have enable manual assignment, you can provide manually assigned numbers instead. Export is the process of retrieving data from a system using data entities. The export process is done through a project. When exporting, you have a lot of flexibility as to how the export project is defined. You can choose which data entities to export, but also the number of entities, the file format used (there are 14 different formats to choose for export), and apply a filter to each entity to limit what is exported. After the data entities have been pulled into the project, the sequencing and mapping described earlier can be performed for each export project. After the project is created and saved you can export the project to create a job. During the export process, you can see a graphical view of the status of the job and the record count. This view shows multiple records so you can review the status of each record prior to downloading the actual files. While importing the system users entity, you may receive an integrity violation error if there is a guest user in the exported package. The guest user must be deleted from the package in order for the entity to work. If a record already exists in the UserInfo table (the Admin record would most likely always exist), the import will fail for those records but work for other records. After the job is completed you can choose how to download the files: each data entity can be a separate file, or by combining the files into a package. If there are multiple data entities in the job, choosing the package option will speed up the upload process. The package is a zip file, containing a data file for each entity as well as a package header and manifest. These additional documents are used when importing in order to add the data files to the correct data entities and sequence the import process. Import is the process of pulling data into a system using data entities. The import process is done through the Import tile in the Data Management workspace. Data can be imported either for individual entities or for a group of logically related entities that are sequenced in the correct order. The file formats vary depending on the type of import. For an entity, it can be an Excel file that is comma-separated, tab-separated, or text. For a data package, it is a .zip file. In both cases, the files are exported using the above mentioned export process. Log into the environment using a login with sufficient privileges (typically this is the Administrator role). On the dashboard, click the Data Management workspace. In the Source Data Format field, select Package. Click the Upload button and choose the appropriate package file from the location for the data being imported. This will import all the files from the package. Click Save, and then click Import. Use one of the following methods to import multiple data packages. Create a new job for each package, and then repeat steps 4(a) through 4(d) above, for each package. Create one job to import multiple packages in a sequence. Repeat steps 4(a) through 4(c) above, and then repeat step 4(c) for all packages that need to be imported. After you select the packages, execute step 4(d) to import the data from the selected data packages through a single job. After you click Import, the data will be imported through staging tables. The progress of the import can be tracked using the Refresh button in the upper-right corner of the screen. This section provides troubleshooting information for the different stages of data package processing. Status and error details of a scheduled job can be found under the Job history section in the Data management form. Status and error details of previous runs for data entities can be displayed by selecting a data project and clicking Job history. 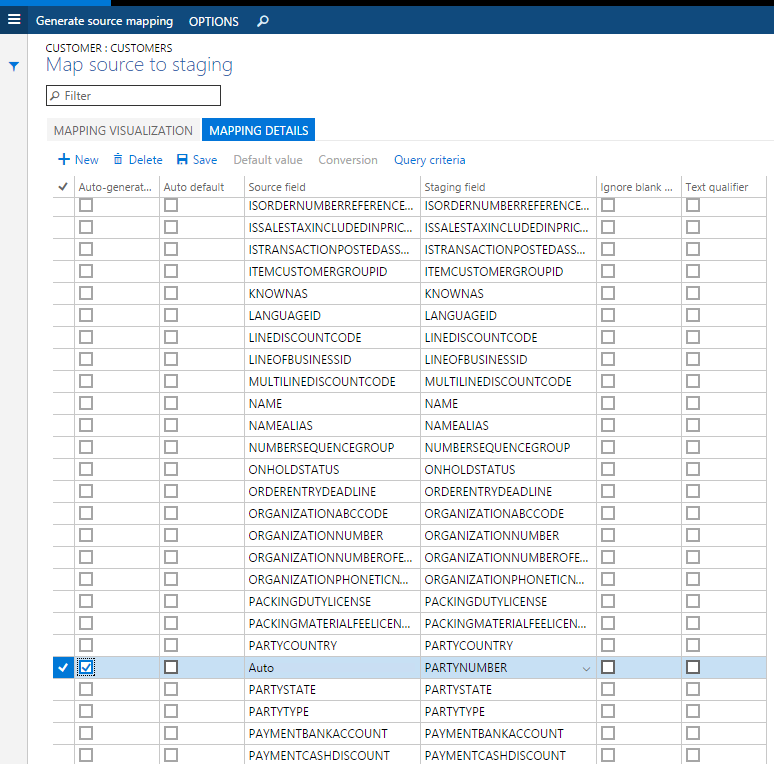 In the Execution history form, select a job, and click View staging data and View execution log. The previous runs include data project runs that were executed as batch jobs or manually. If you get an error during the export process, click View execution log and review the log text, staging log details, and Infolog for more information. If you get an error during the export process with a note directing you to not skip staging, turn off the Skip staging option, and then add the entity. If you are exporting multiple data entities, you can use the Skip staging button for individual data entities. There is a 256 MB limit for the file size that can be handled via export. If there are a large number of records that will be exported, be sure that the resulting file size does not exceed this limit. An alternate way to handle such scenarios would be to use filters on the entity to export only a subset of data. If this is not feasible, then bring your own database must be considered for the overall solution. If data entities do not display in Selected files and entities after you click Upload during the import process, wait a few minutes, and then check whether the OLEDB driver is still installed. If not, then reinstall the OLEDB driver. The driver is Microsoft Access Database Engine 2010 Redistributable – AccessDatabaseEngine_x64.exe. If data entities display in Selected Files and Entities with a warning after you click Upload during the import process, verify and fix the mapping of individual data entities by clicking View map. Update the mapping and click Save for each data entity. If data entities fail (shown with a red X or yellow triangle icon on the data entity tile) after you click Import, click View staging data on each tile under the Execution summary page to review the errors. Sort and scroll through the records with Transfer status = Error to display the errors in the Message section. Download the staging table. Fix a record (or all records) directly in staging by clicking Edit, Validate all, and Copy data to target, or fix the import file (not staging file) and reimport the data. If data entities fail (shown with a red x or yellow triangle icon on the data entity tile) after you click Import, and View staging data shows no data, go back to the Execution summary page. Go to View execution log, select the data entity, and review the Log text, Staging log details, and Infolog for more information. Staging log details will display Error column (field) details and Log description will describe errors in detail. If data entities fail, you can check the import file to see if there's an extra line in the file with text which displays, "This is a string that is inserted into Excel as a dummy cell to make the column to support more than 255 characters. By default, an Excel destination component will not support more than 255 characters. The default type of Excel will be set based on the first few rows". This line is added during data export. If this line exists, delete this line, re-package the data entity, and try to import. When you import the system users entity, you may receive a integrity violation error if there is a guest user in the exported package. The guest user must be deleted from the package in order for the entity to work. If a record already exists in the UserInfo table (the Admin record will likely exist), the import will fail for those records but work for other records. The following features are enabled via flighting. Flighting is a concept that allows a feature to be ON or OFF by default. DMFEnableAllCompanyExport Enables BYOD export from all companies in the same export job (supported for BYOD only and not files). By default, this is OFF. DMFExportToPackageForceSync Enables synchronous execution of data package API export. By default, it's asynchronous. EntityNamesInPascalCaseInXMLFiles Enables behavior where entity names are in Pascal Case in the XML files for entities. By default, the names are in upper case. DMFByodMissingDelete Enables the old behavior where under certain conditions, certain delete operations were not synced to BYOD using change tracking. DMFDisableExportFieldsMappingCache Disables caching logic when building target field mapping. EnableAttachmentForPackageApi Enables attachments functionality in the package API. FailErrorOnBatchForExport Enables fail on error at execution unit or level for export jobs. IgnorePreventUploadWhenZeroRecord Disables 'prevent upload when zero records' functionality. DMFInsertStagingLogToContainer By default this is ON. This improves performance and functional issues with error logs in the staging table. ExportWhileDataEntityListIsBeingRefreshed When enabled, additional validations are made on mappings when a job is scheduled while entity refresh is in progress. By default, this is OFF. DMFDisableXSLTTransformationForCompositeEntity This can disable the application of transformations on composite entities. DMFDisableInputFileCheckInPackageImport Additional validations are made to ensure if any entity file is missing from a data package, error message is shown. This is the default behavior. If required, this can be turned OFF by this flight. FillEmptyXMLFileWhenExportingCompositeEntity Prior to Platform update 15, when exporting composite entities that did not have any records to export, the XML file generated did not have any schema elements. This behavior can be changed to output empty schema by enabling this flight. By default, the behavior will still be to output empty schema. EnableNewNamingForPackageAPIExport A was fix was made to ensure unique names are used for the execution ID using the package API for exports. This will now result in a new naming convention for the execution ID's. If there is a need to revert to the previous naming convention, you can enable this flight. However, by doing this, the issue fixed in the bug 265164 will re-occur. This issue will only occur when calls are made in quick succession so that the time stamps used in the naming convention are the same. DMFDisableDoubleByteCharacterExport A was fix was made to ensure that data can be exported when the format is configured to use code page 932 setting. If an issue is encountered in relation to double byte exports, this fix can be turned off by disabling this flight to unblock, if applicable. DisablePendingRecordFromJobStatus A was fix was made to ensure that pending records are taken into consideration while evaluating the final status of an import job. If implementations have a dependency on the status evaluation logic and this change is considered a breaking change for an implementation, this new logic can be disabled using this flight. The following steps enable a flight in a non-production environment. Execute the following SQL command. After running the SQL statement, ensure that the following is set in the web.config file on each of the AOS's. add key="DataAccess.FlightingServiceCatalogID" value="12719367"
The parameter descriptions are below. is the name of the flight that must be enabled or disabled. Partition - Partition ID from the environment, which can be obtained by querying (select) for any record. Every record will have a partition ID that must be copied and used here.